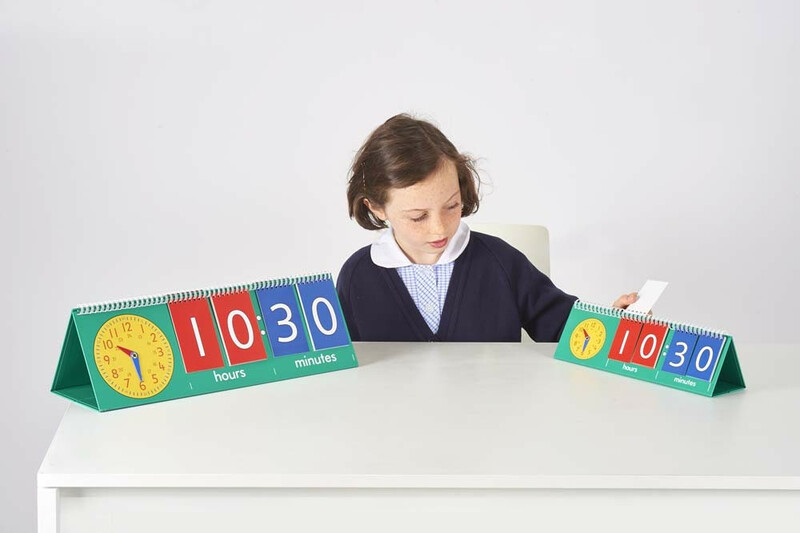 Teach analogue and digital time effectively with these freestanding flip charts showing the 12 hour clock face and numbers for the 24 hour or 12 hour digital time. 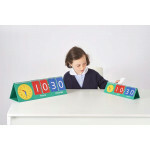 The clock face has movable colour coded hands, easy for children to coordinate the hands on the clock face and the time on the flip chart. 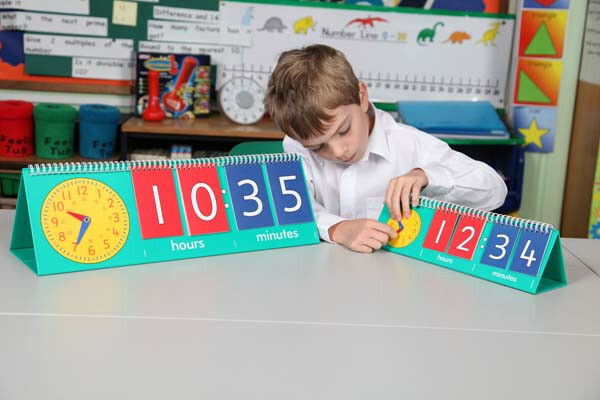 Teacher Size: 530 x 180mm. Single flip chart.